It seems almost everyone is on a mission to capture the perfect action photo during a vacation to share with family and friends. Ziplining presents a few unique challenges when it comes to taking perfect action photos. 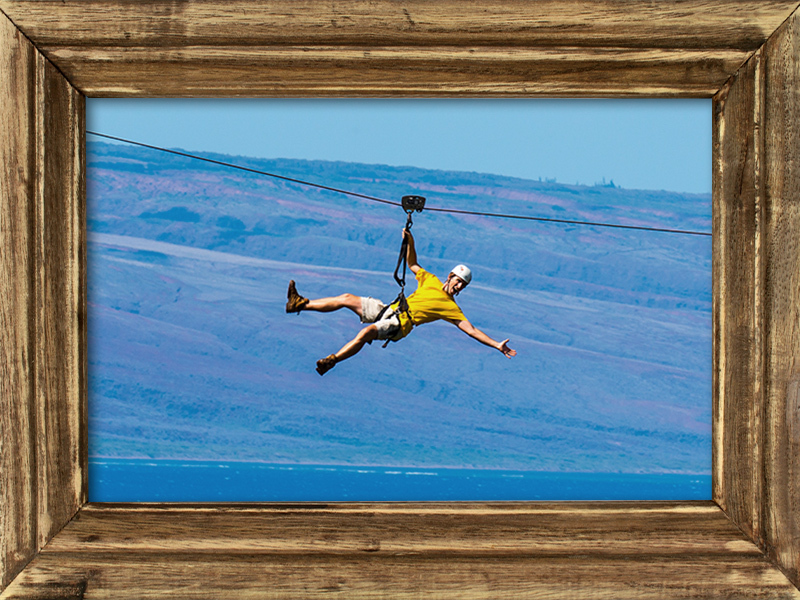 Since our first commercial zipline tour was established on Haleakala in 2002, we have taken a lot of zipline action photos of our guides and for our guests. Based on all of our year of experience, we’ve compiled some of our recommended tips for getting those Insta-worthy shots. 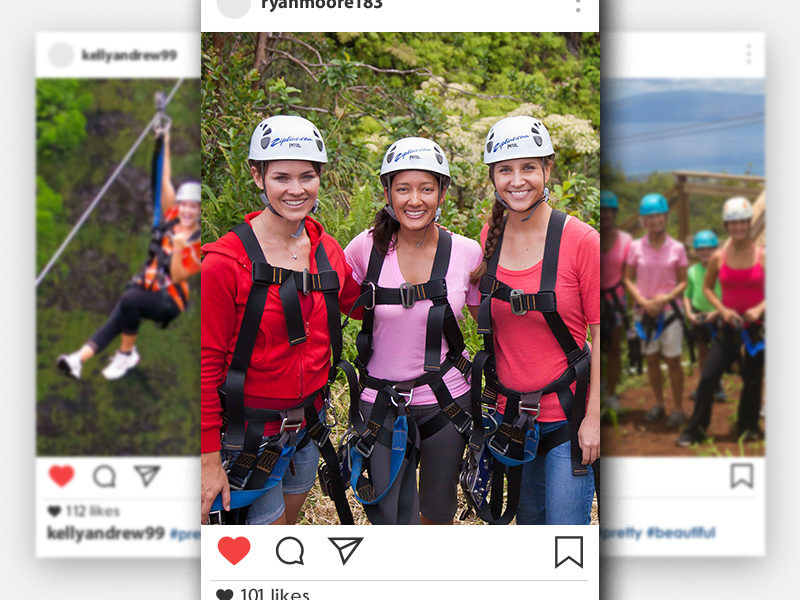 We guarantee you’ll have fun ziplining, but sometimes it can take a little extra charisma to accurately represent just how much fun you’re having in a photo. One way to visually communicate your excitement is by extending your limbs and giving a big smile. If you’re feeling extra Hawaiian, you can throw out a shaka sign. But most importantly, be your authentic, natural self. Sometimes it can be a little tricky to face a particular direction when ziplining, but if at all possible keep your face towards the camera — even if that means looking behind you. If you have long hair, consider putting it in a ponytail to keep hair from covering that beautiful smile. To keep your face free from distractions, we also recommend hanging onto the zipline with the arm furthest from the camera — if your comfortable hanging on with one hand. Make your photo stand out with the right shirt. Our favorite eye-popping photos are those that show our guests in contrast with their surroundings. Try wearing pink, orange, or another vivid color to stand out from the greens, browns and muted colors of the trees. Consider avoiding wearing a patterned shirt, and instead a solid, bright-colored shirt to give more impact. Selfies are great, but sometimes you need a little extra reach to capture the entire scene. Hand off your phone to a friend or even a guide. Our guides would love to take a photo for you (or even with you!). 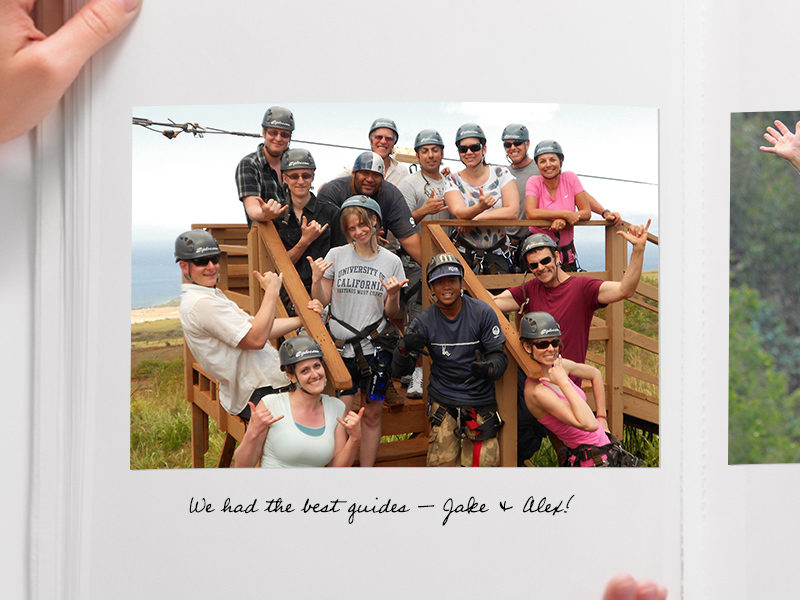 And with our guides’ vast knowledge of the zipline courses, they can recommend the perfect spot for a great photo. If you’re using your phone’s camera, take advantage of ‘burst mode’, also known as continuous shooting. On most phones, you can hold down the shutter button to take a series of photos in a matter of seconds. 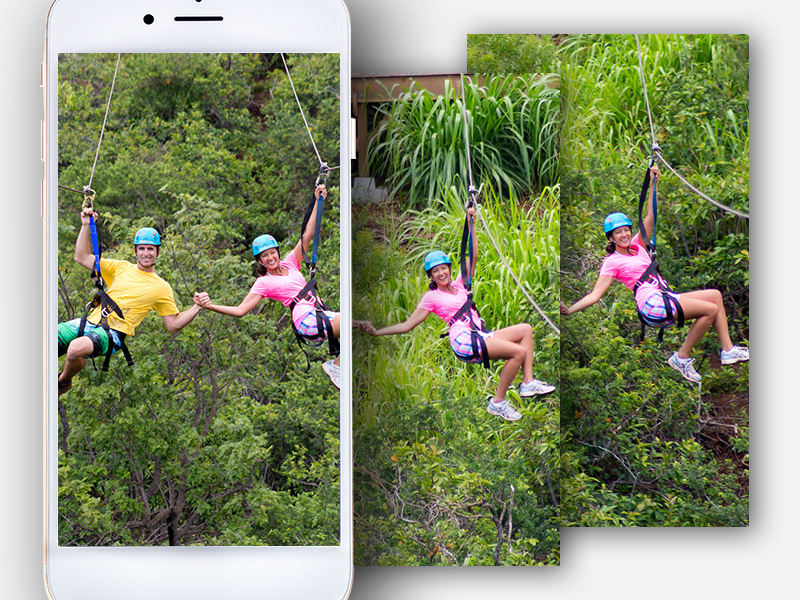 This works great for motion activities like ziplining and eliminates the need for you to time that photo just right. Don’t miss a moment! 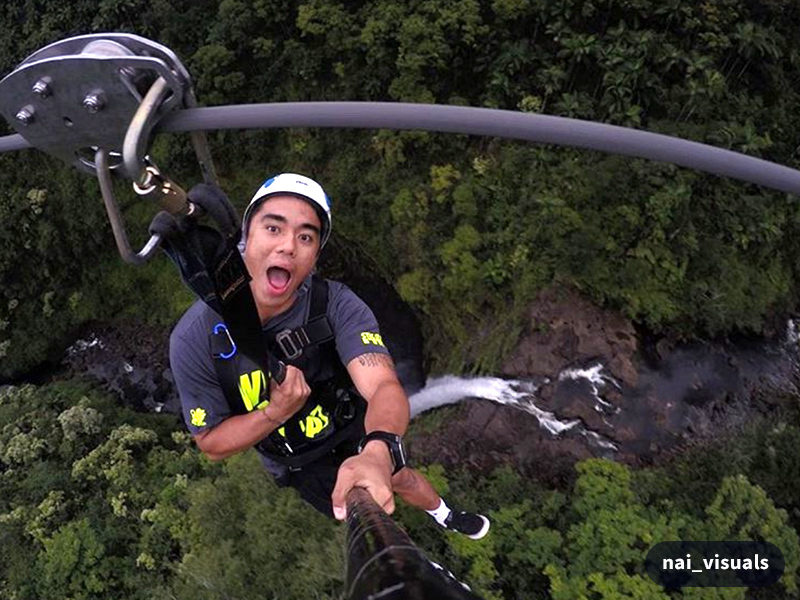 We offer GoPros that strap to your helmet allowing you to relive your zipline experience over and over again. GoPros allow you to capture both video and photos from a unique first-person perspective. Another option is to bring your own GoPro camera and floating hand grip selfie stick (as seen above). The GoPro selfie stick has a wrist strap so you won’t lose your GoPro while zipping and it offers a unique selfie action shot photo opportunity. Most importantly, be safe and enjoy the experience. Don’t get too caught up in capturing the perfect photo. 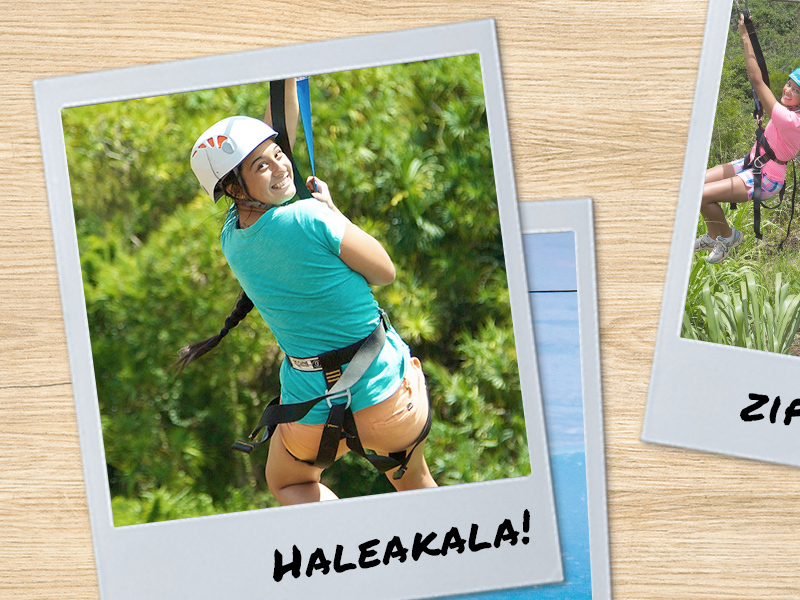 Ziplining through a Hawaiian Forest or above an ocean coastline can be a once-in-a-lifetime experience. So don’t miss it standing behind a camera.